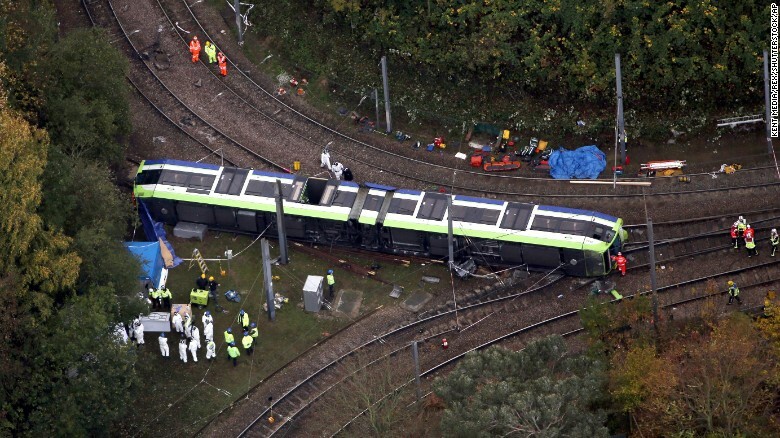 More than 50 people needed hospital treatment after the incident to the east of Croydon, a large town of about 38,000 people. 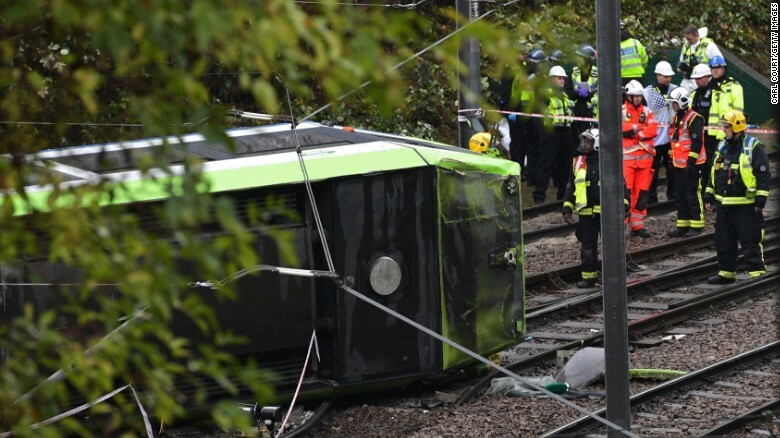 Emergency responders look at the overturned tram in Croydon, south London, on Wednesday. London’s only tram network carries millions of passengers each year along 17 miles of track. Services were limited on Thursday, with no trams operating on the stretch where the derailment took place. The overturned tram remains at the site as investigators probe what may have caused the crash. Aerial shots show that it derailed at a point where the track branches. “We expect to be at the scene for at least the next 24 hours, continuing searches and carrying out forensic examinations in support of the investigation into the circumstances,” Hanstock said.